An artisanal miner carries raw ore at Tilwizembe, a former industrial copper-cobalt mine, outside of Kolwezi, the capital city of Lualaba Province in the south of the Democratic Republic of Congo, June 11, 2016. File photo by Kenny Katombe, Reuters. 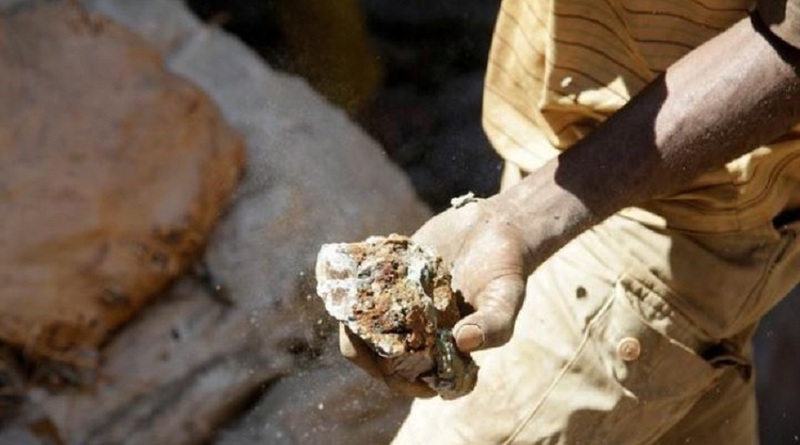 Democratic Republic of Congo will declare cobalt and coltan, used in electric vehicle and renewable energy technology, as "strategic" minerals which will earn the country higher royalties, an advisor to the prime minister said on Wednesday. "We need to make enough money before we run out of these minerals so that is why they are strategic to the country," said Jean Nkunza. "We have to make sure for the next 20 years we make money from these minerals because demand is going to be so high. It's going to continue to grow and we are not going to stop raising the royalties on these minerals." Other "strategic" minerals on the list include lithium and germanium, Nkunza said. Congo is the world's biggest source of cobalt, the price of which more than doubled last year. The central African country is also Africa's top copper producer. The announcement by the prime minister's office, however, appears to pre-empt those negotiations, which were due to determine, among other things, how metals would be classified. Low commodity prices in recent years hit Congo's resource-dependent economy hard, causing inflation to swell to nearly 50 percent in 2017, and the government is desperate to increase its revenues. Reporting by Zandi Shabalala; Editing by Elaine Hardcastle.